Who wouldn't want to see costumed canines promenade? 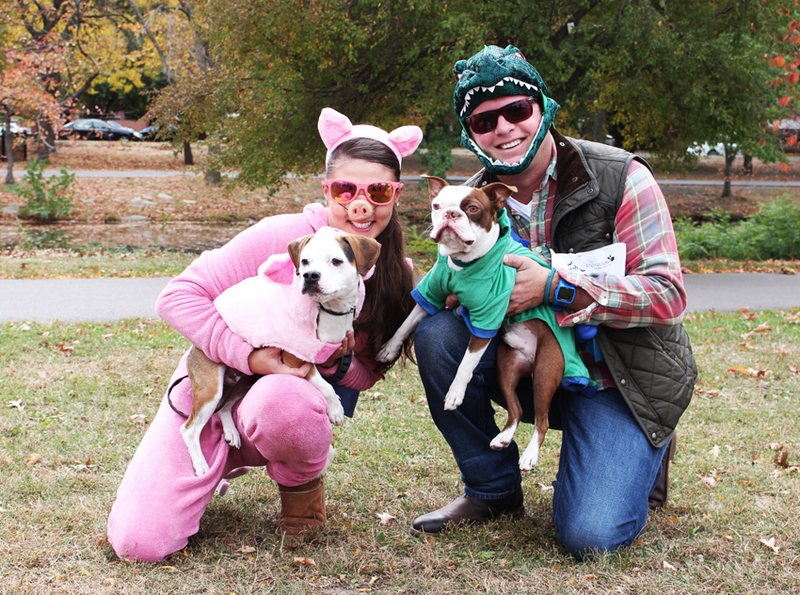 This weekend, puppies pranced along the Esplanade in all sorts of creative Halloween costumes. By Margaret Burdge·	 10/28/2013, 10:40 a.m.
You know something out of the ordinary is going on when a mermaid walks down the street accompanied by her dog who is dressed like a lobster. And yet, this pair was just one of many costumed dog-owner duos at the third annual Canine Promenade on the Esplanade hosted by the Esplanade Association. 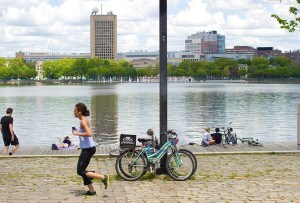 This past Saturday, the dog walkers and their pooches who frequent the Charles River Esplanade showed up in very unusual dress. Bringing plenty of Halloween spirit, these pups were dressed as everything from flying Pop Tarts (a design that earned one dog a second-place prize) to sea creatures like the mermaid’s pet lobster. 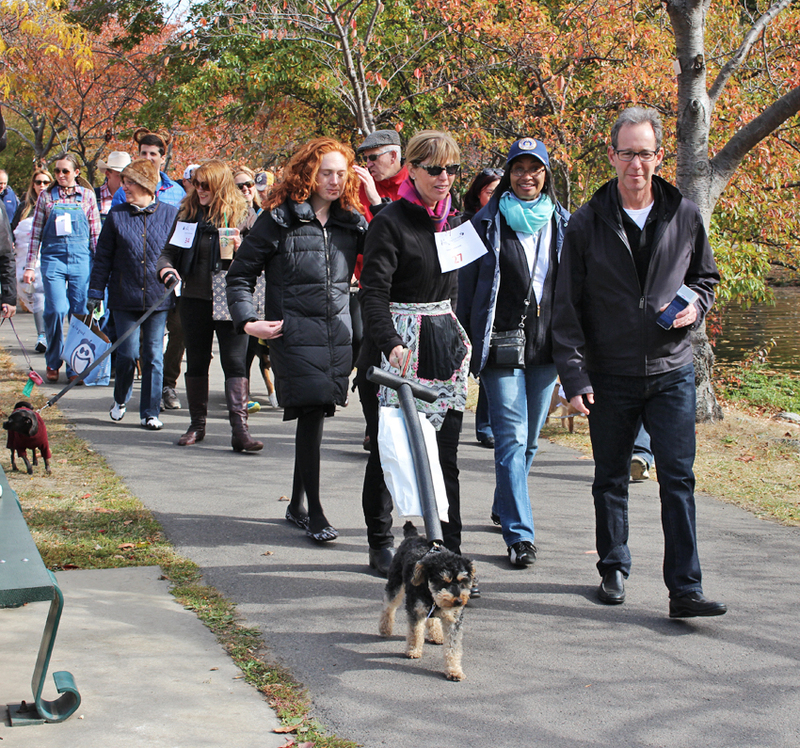 Each year, the Canine Promenade lures attendees with puppy portraits, goodie bags, tips for dog owners, and more, bringing a lively group together for some Halloween fun and to teach them about the Esplanade Association’s work in the park. 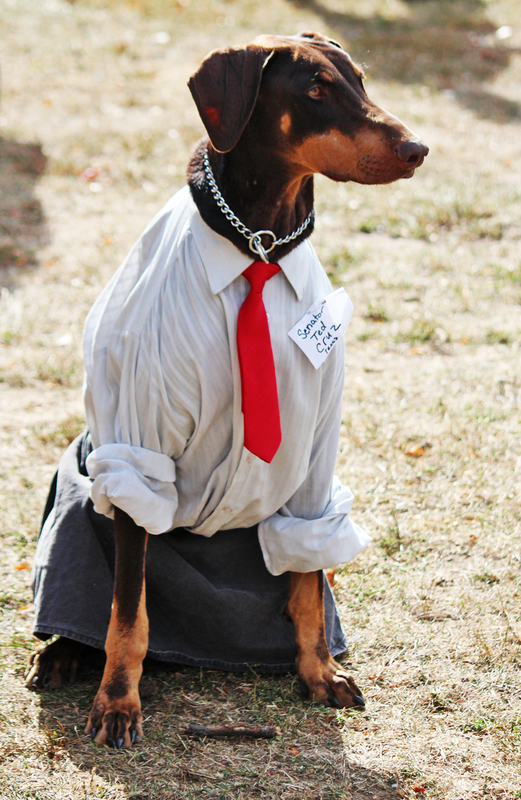 With gift baskets supplied by Pawsh Dog Boutiques and other giveaways and prizes, this year’s costume competition was fierce, and the dogs were dressed to the nines. The fates of the contestants lay with the judges: Massachusetts State Representative Jay Livingstone, Boston City Councilor Ayanna Pressley, and Jessica Pederson, Director of Operations for the Esplanade Association. D-dee Bonez, a 14-month-old Doberman–a.k.a. Texas Senator Ted Cruz–was representing Boston Red Dog Pet Resort and Spa and did a demonstration on dog training after the event. 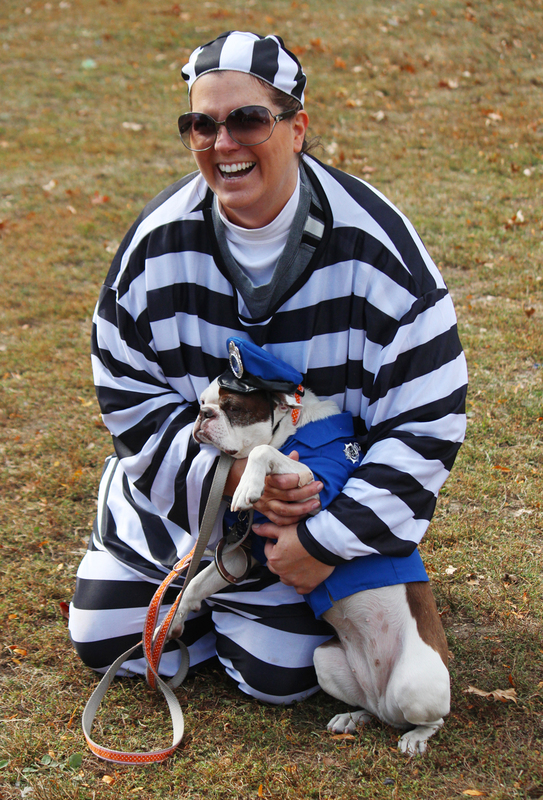 Lisa Hazen brought her Boston terrier, Fenway (full of local charm), to the event in a Cops-and-Robbers”-themed costume that won the pair third place in the group costume contest. 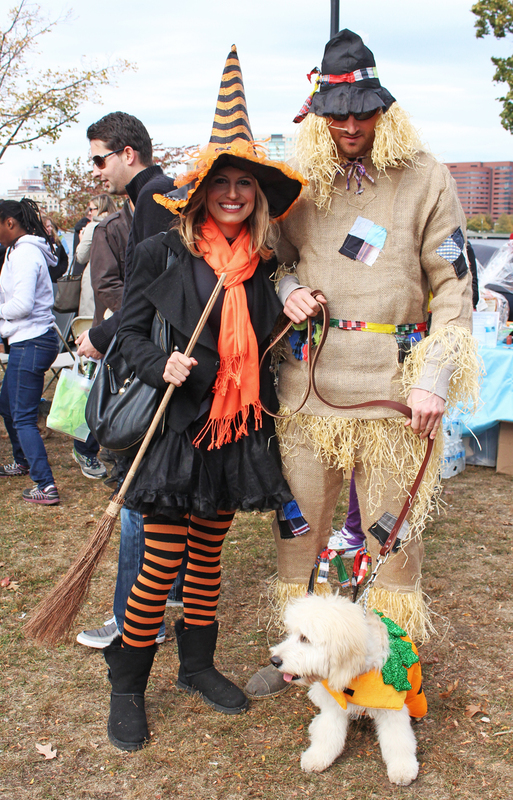 Sarah French, news anchor for channel 7 and Grand Marshall for the event, and Chris Carpenter brought Buddy, a golden doodle, dressed as a pumpkin. There was no Halloween costume more fitting for the occasion than Twinkle’s. 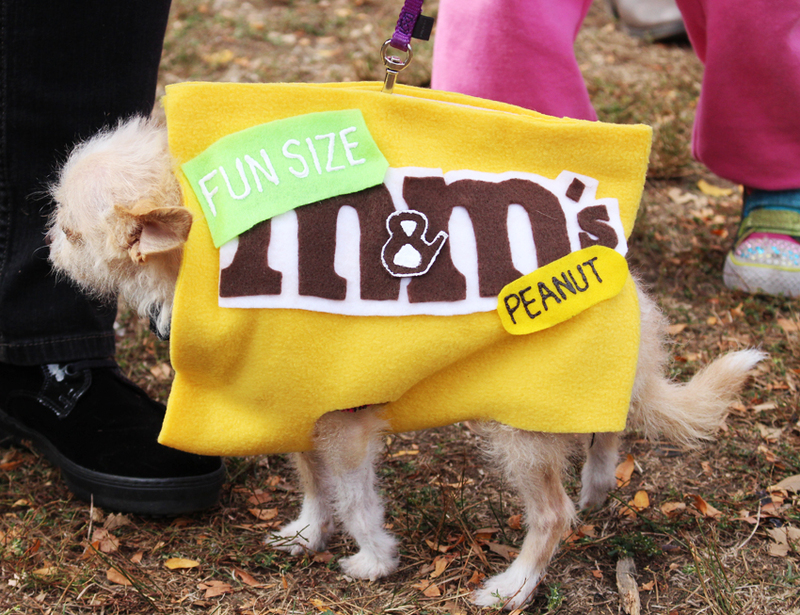 The dog’s owners created an M&Ms bag out of their pup, and a fun-sized one at that. Petfinder had rescued the chihuahua from the streets, and put her up for adoption on their website. 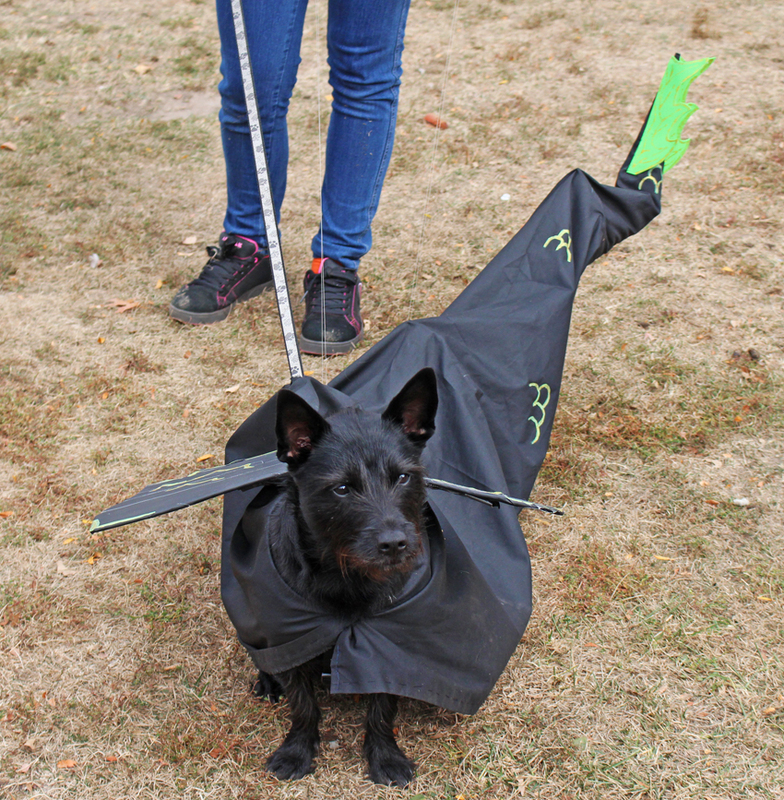 Nessie, a Scottie mix, flew around the esplanade in a homemade dragon costume. 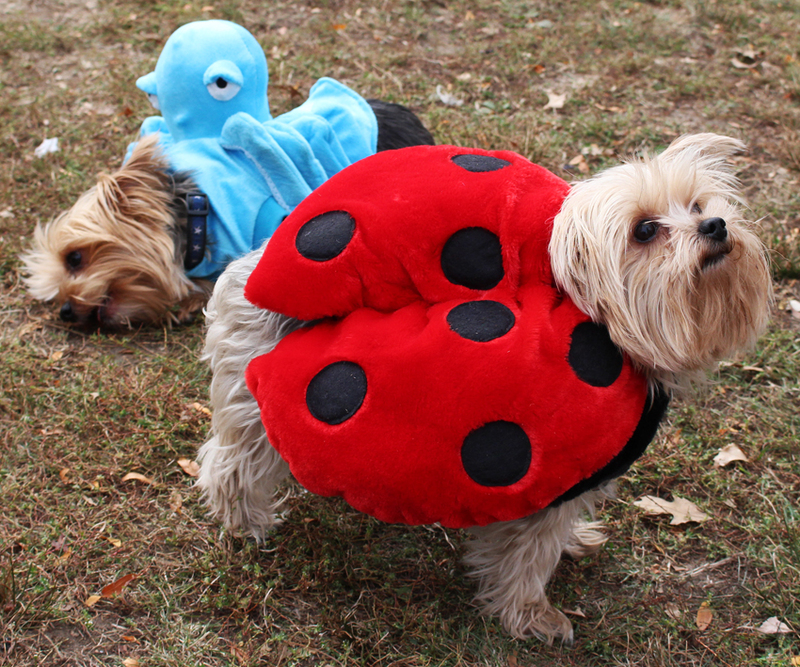 Finnegan, a bouncy octopus, pranced around the park with his ladybug sister, Lillie. The Yorkshire terriers were huge crowd-pleasers at the Promenade. Lisa, left, came with her 1-year-old bulldog-beagle-pug mix, and Eli brought his 11-month-old Boston terrier Bosun (given the nautical name in honor of the boat he lives on). The owners dressed in pairs with their dogs. 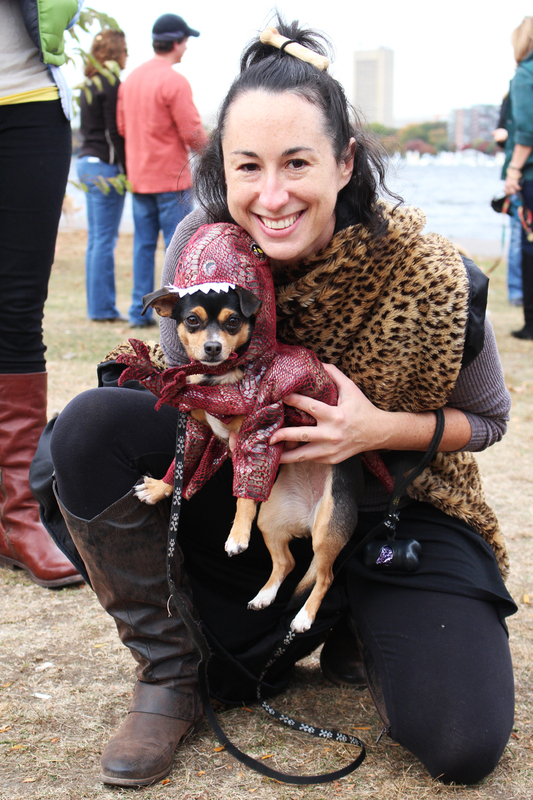 Lulu, a chihuahua-turned-Tyrannosaurus Rex, came with her cavewoman owner, Katherine, to the Promenade. 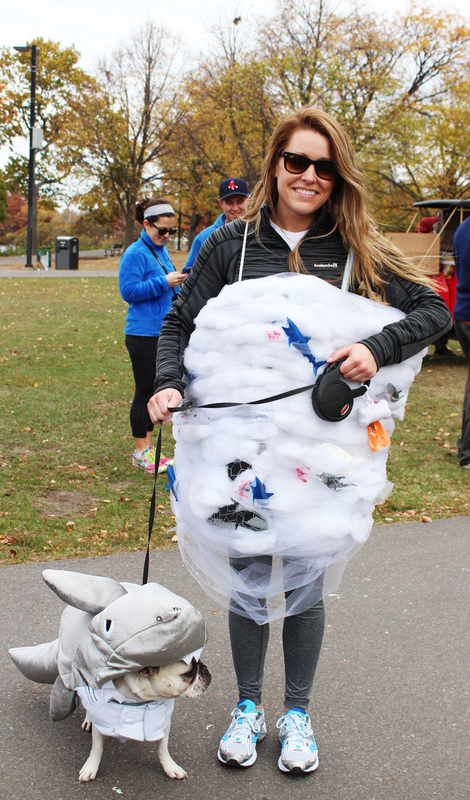 Jessica and her French bulldog, Doug, came in super-culturally relevant costumes as Sharknado. 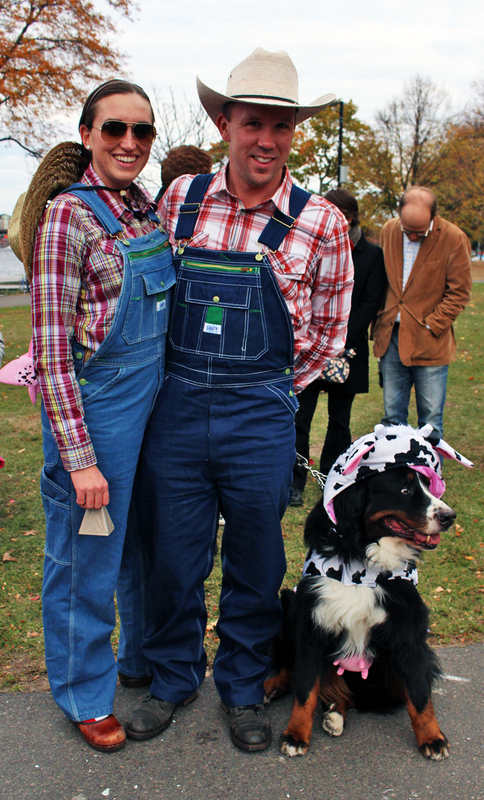 Nicole and Nick, along with their Bernese Mountain Dog, Tucker, won second place in the group costume category for their farmers-and-cow creation. 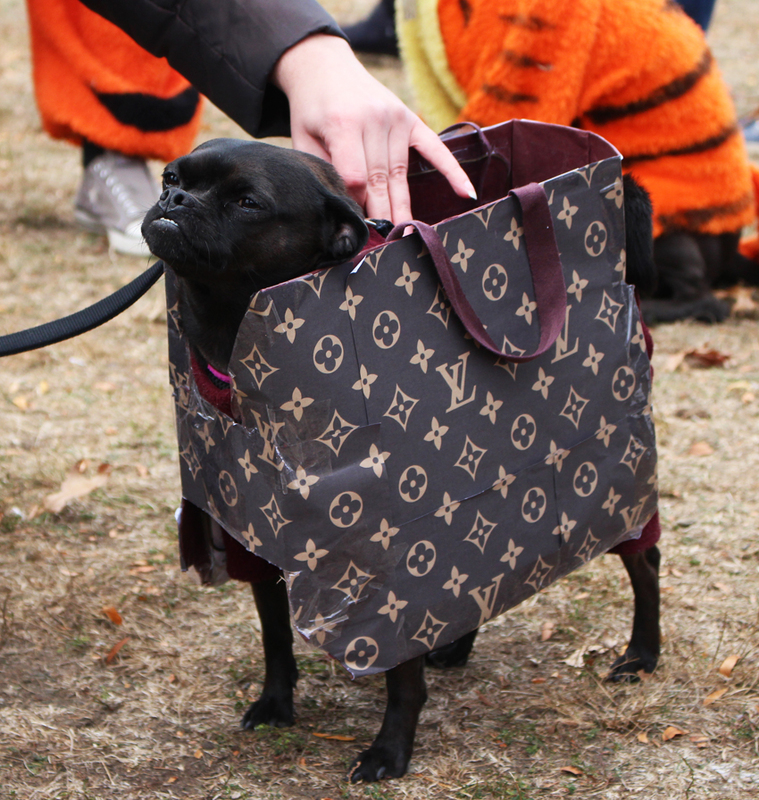 Lucy, a Louis Vuitton purse dog, strutted around the event with a stature worthy of her designer. 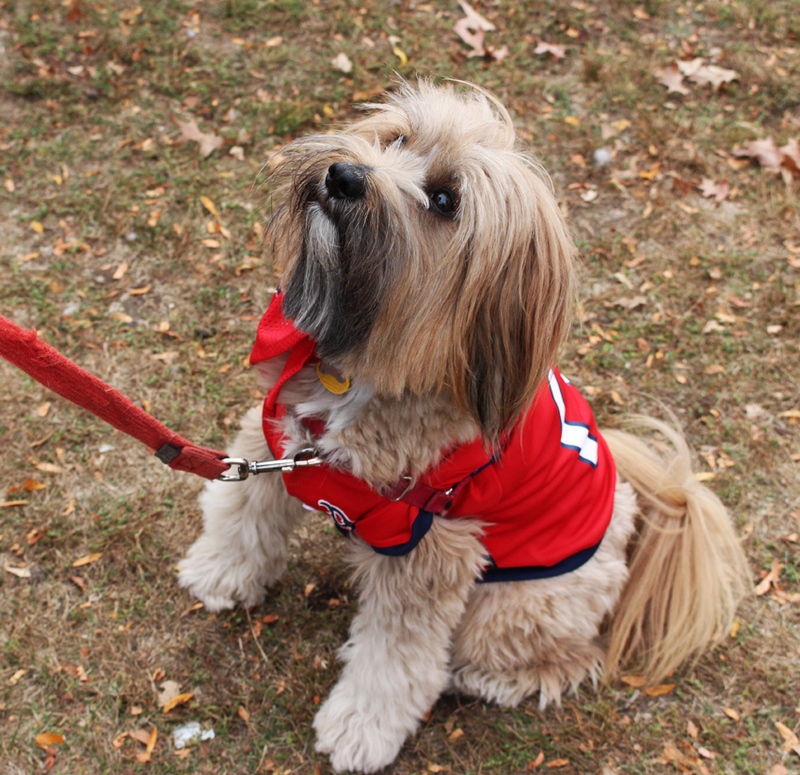 Bandit, a Tibetan terrier, was one of many Boston dogs supporting the Red Sox during their World Series run. 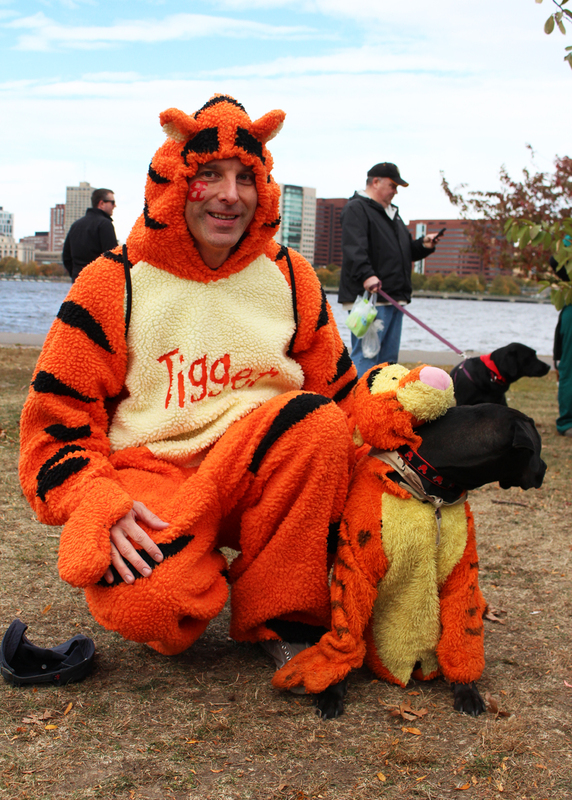 Deitrich made his labrador mix, Mika, a Tigger costume that matched his own out of a children’s costume that he cut to fit her. 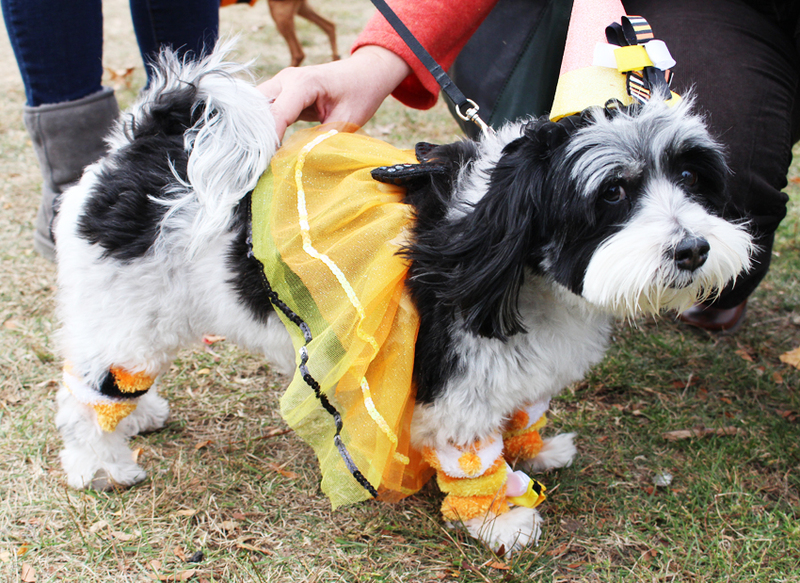 In classic Halloween form, Holly, the Havanese Candy Corn Princess, was quite the treat at the Promenade. No tricks there! The most impressive costume at the event was worn by this little Yorkie. 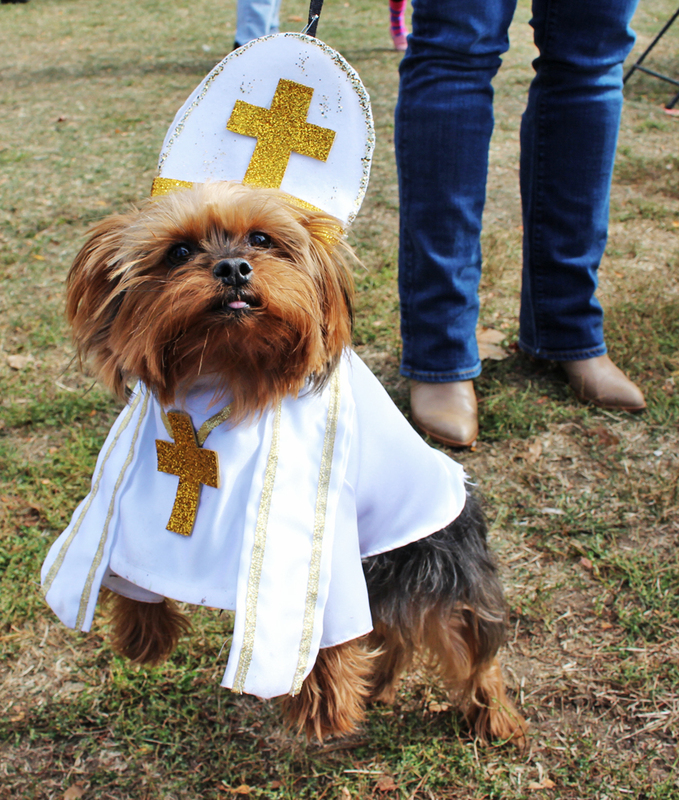 Father Finnegan’s Pope costume won him the first-place prize for individual costume. This five-month-old Golden Retriever, Ollie, won best group costume for the Where’s Waldo? outfit, which matched Raina’s ensemble.